South West Canoe Show 2010 New dates!! 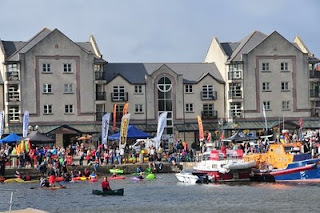 The South West Canoe Show 2010 is moving to a new date! We are bringing the show forward from its usuall date in October. This should mean better weather for the day and ties in with industry moves. Put the date in your diarys as an event not to be missed! We will be updating the website with news as it happens! 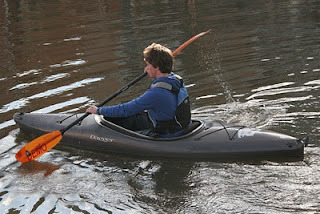 The Dagger Fiesta kayak is now available, only in 100% recycled plastic. 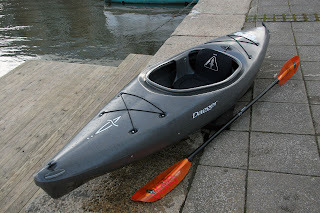 The Fiesta is a great introductory boat for the recreational paddler. It has a wide hull offering lots of stability, yet its 'V' shape front and rear cut easily through the water, it also has a large cockpit making it easy to get into and out of and comes fitted with front and rear deck elastic storage and easy to adjust slidelock footrests. For year’s now Dagger have been recycling the waste plastic from their factory; their offcuts were mixed with other plastic to become toys, compost bins and carrier bags. Good for the environment? 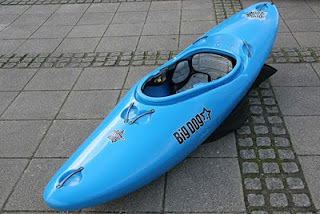 Not bad, but their aim had always been to recycle any waste themselves – to produce more kayaks. Well now they can. 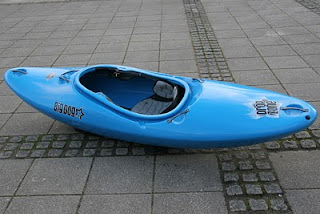 The 100% recycled Dagger Fiesta kayak caused quite a stir at the 2010 Dealer preview. Throughout the event they invited all of their UK dealers to put a boat shell through the “2lb Lump Hammer Test”. A month of abuse later and it was still going strong! 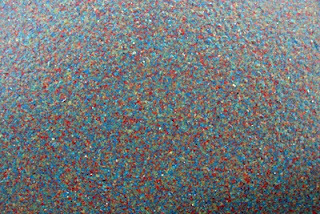 The colours of the New recycled Fiesta vary slightly depending on what colour plastic has been recycled. But on the whole they appear slightly green/grey, but closer inspection reveals that they are made up of a whole variety of colours. 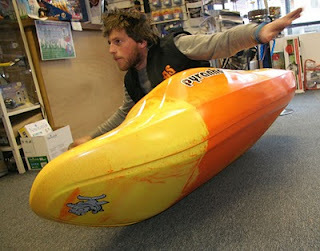 We now have a demo Big Dog Drop Zone kayak. 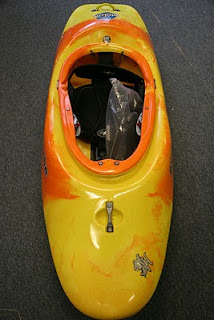 The Drop Zone is the long awaited Creek boat from new Kayak manufacturer Big Dog. 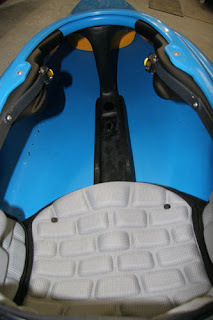 Along with bags of volume the Drop zone offers, six attachment points, a separate roto moulded seat and hull stiffener, and a multi adjustable full plate footrest. If you are looking for a new creek boat why not come and give our demo Drop zone a go. 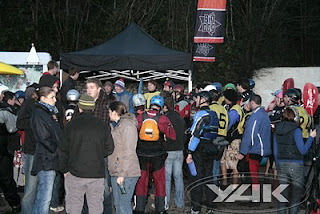 Heres a quick round up from the First Exeter Uni 'Pots Rodeo. The Pots Rodeo took place on Saturday the 6th of Feb 2010. The event saw about 35 competitors take to the water on Saturday night, under the electric glow of 4000w of lighting, and the pulsing sounds of DJ Redbelly. 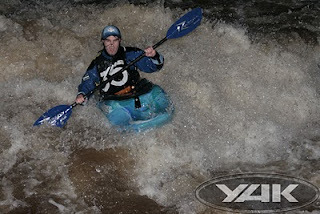 The Water level was perfect and paddlers got to strut their stuff to a large crowd. 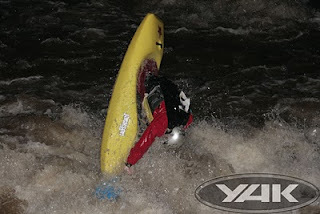 More pictures from Yak can be found on the Yak equipment facebook Page Click HERE for more. 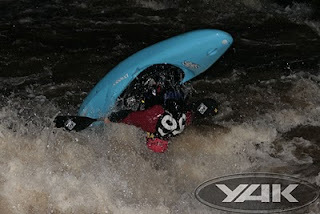 Big thanks to the Guys and Girls at Exeter Uni for organising the event, A-plant for the incredible lights, DJ Redbelly for music, commentary and 'encouragement', Big Dog for supplying demo boats, Pete Ford at Yak, Fluid skills for safety cover, and all the competitors and supporters for making it such a great event! 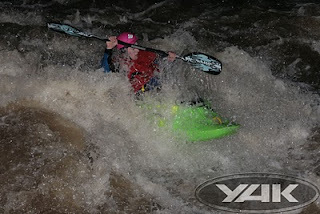 All images from Pete Ford @ Yak equipment. 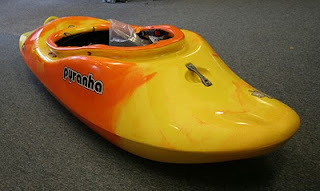 Fresh out of the packaging today, its the Pyranha Molan playboat. Pyranhas latest, most prototyped and tested playboat. The Molan is definitely from the new school wave orientated design school. 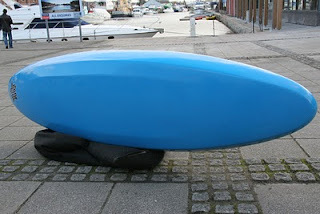 The hull is short and wide, which should make spins easy, and has enough Rocker front and rear to help it into the air. Many people have been comparing it to the 2010 Jackson kayaks Star series, which from a quick glance is quite understandable. But if both boats are put side by side there are a range of differences. The Star has less rocker and less volume in the stern, and the Molan definitely offers more cockpit space, and a more positive feel. We have a demo boat, as well as stock, so if you want to try before you buy why not give us a call and book it in now! 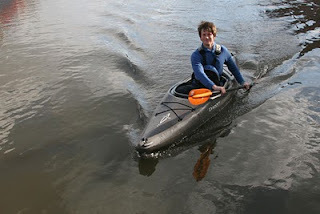 We seem to be over run with just about every type of secondhand kayak possible at the moment. We've got creek boats, play boats, river runners, surf boats, wave skis, general purpose and recreational boats. All of them piled up outside the shop just looking for a new home. So why not go and have a quick look at what we've got, maybe you'll find yourself a bargain! 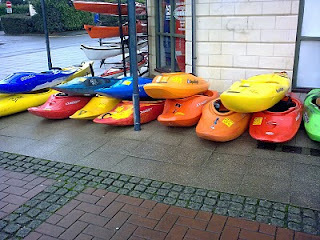 You can check out our Secondhand Boats in the AS Watersports webshop, secondhand kayaks. You can reserve one, and pop into the shop to try it out, we can even send them out with a courier if your not local!